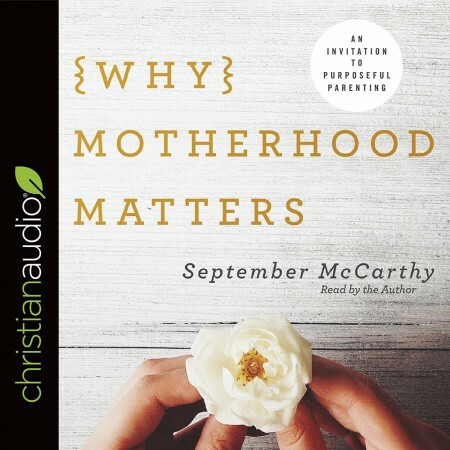 On the pro side, this book is certainly an honest account of some the challenges of being a Christian mum and how the author applied God's Word to work through them. She has helpful comments and the woman has 10 kids, so in a sense, who can argue with her?! In terms of cons, it felt to me like it needed a good editor... It could have been about four times shorter and some of the anecdotes I found too specific to be of wider use. It's not a bad book (and mums at the end of their tether might appreciate hearing from someone who starts there too); however, if you're going to only read one book on the subject I would say much better to purchase, 'Treasuring Christ When Your Hands Are Full' by Gloria Furman. In a very crowded marketplace about these topics, the latter is a classic and much more helpful.